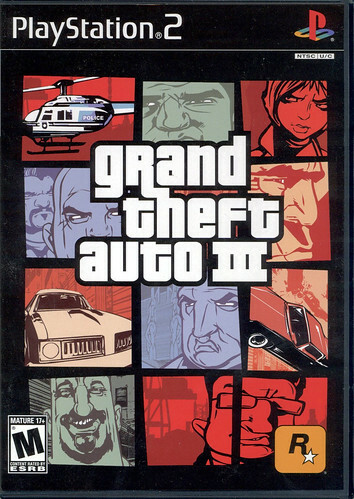 Box front for Grand Theft Auto III, showcasing the iconic art style. 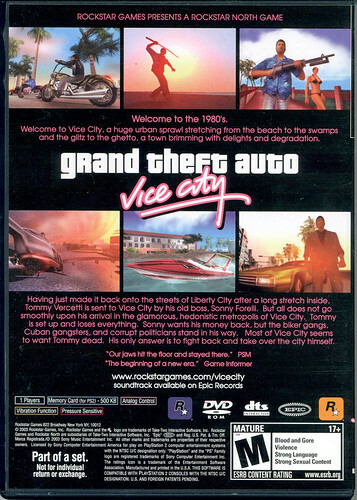 Box back for Grand Theft Auto: Vice City. 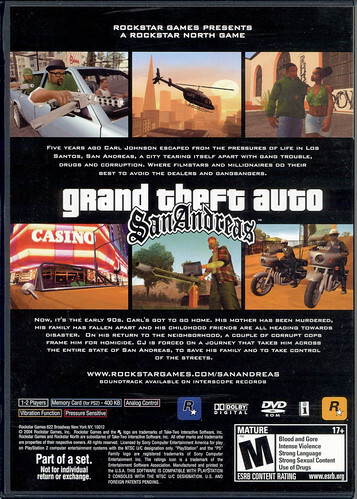 Box back for Grand Theft Auto: San Andreas. 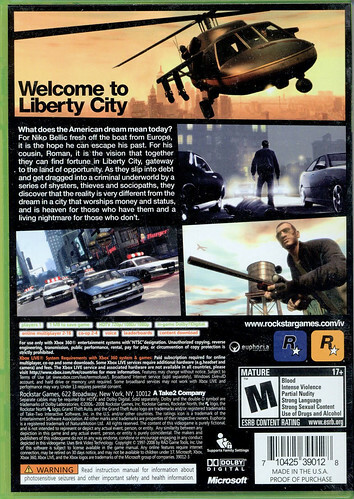 Box back for Grand Theft Auto IV. 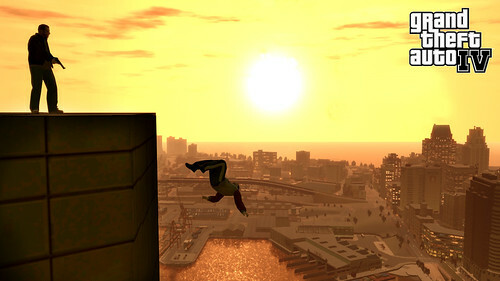 Promotional image for Grand Theft Auto IV. 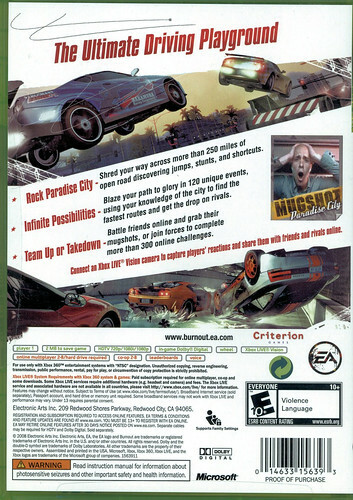 Box back for Burnout Paradise.